Home » News & Events » News » WSU Press launches its first Open Access Titles on WayneOpen.Org! WSU Press launches its first Open Access Titles on WayneOpen.Org! Through a generous grant from a joint project between the Andrew W. Mellon Foundation and the National Endowment for the Humanities (NEH), WSU Press has digitized a selection of backlist titles for Open Access distribution. These titles will be freely accessible to the public through the websites of the Wayne State University Library System and the Wayne State University Press. Titles selected for the project fall into several sub-topics that reflect current programs: industrial and labor history, maritime history, Detroit history, Jewish history, Holocaust studies, Israel and Middle East studies, and biographies of significant individuals. The new Humanities Open Book grant program is part of the National Endowment for the Humanities' agency-wide initiative The Common Good: The Humanities in the Public Square, which seeks to demonstrate and enhance the role and significance of the humanities and humanities scholarship in public life. In addition to making the books available for resale in print and digital formats, this new collaborative effort between NEH and The Mellon Foundation will also better define the costs and benefits of digitizing out-of-print scholarship and making it available, at no charge, to the general public. 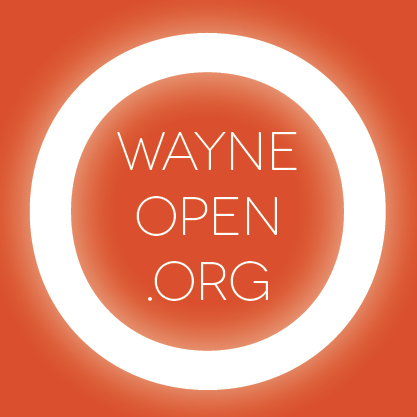 Visit WayneOpen.org for the complete list of titles!